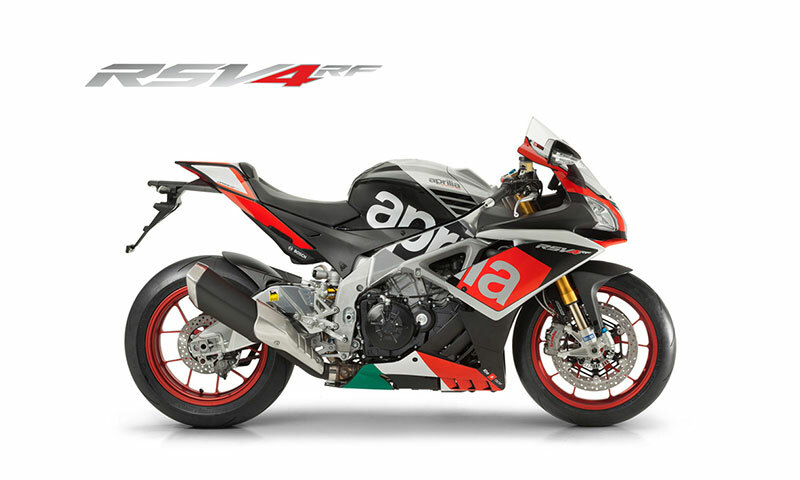 More than 200 hp, greater performance, lighter weight, more effective on the track and new riding pleasure on the road, with the best possible technology provided by the advanced aprc and race abs electronic controls. The deliberate design and choice of technology applied to the RSV4 RF leaves no doubt that everything was planned around the only V-4 cylinder 65掳 engine ever to be fitted as standard to a road bike. The frame is the direct descendant of a dynasty which has won 18 titles and 143 grand prix in the 250 GP class and the bike has then been further enhanced by highly developed electronic management systems to improve both engine performance and handling. Airbox with front dynamic air intakes. Variable length intake ducts controlled via the engine control unit. Sachs Fork with 43 mm � stanchions; [�hlins fork with TIN surface treatment]. Dual 320-mm diameter floatig stainless steel disc with lightweight stainless steel rotor and aluminium flange with 6 pins. 220 mm diameter disc; Brembo calliper with two � 32 mm separate pistons. Sintered pads.